01tribe was selected by Google among the top companies in Italy’s mobile market and participates on Monday September 26 in Milan at the first event organized by Google Italy, “Think Mobile”. With the motto “Think Mobile: It’s Not Too Late To Be Early” Google has proposed to devote an entire day at the Mobile world involving all the major players in the market, including companies, creative agencies, developers, and creatives, involving them in a moment of exchange and networking, aimed at creating new synergies and opportunities in Design, ideas, and innovation: these are 01tribe’s engines, which once again established itself as a leader in its field. The App PosteID of Poste Italiane, developed by 01tribe, won today in Milan “Smau Mob App Awards”, award established as part of the 51st edition of Smau, the most important national event about technological innovations and smart solutions for communication. posteID was awarded for the contest “App for consumer – Mobile Payment” sponsored by SMAU and Observers Digital Innovation of the School of Management of Politecnico di Milano, and rewards the best App aimed at consumers and companies, developed for new generation mobile devices (Smartphone and Tablet) and best App still under development. The posteID application allows you to make secure and “one-click” purchases on specific sites without having to type payment data. PosteID is the service for digital identity that allows customers to make payments and to access e-Commerce web sites and portals, quickly and securely, using your device (smartphone or tablet) and a single personal device code. 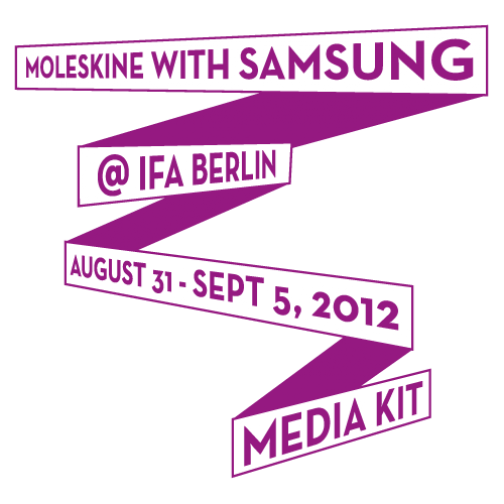 In conjunction with the worldwide launch of the new Samsung Galaxy Note II and Galaxy Note 10.1 devices, 01tribe unveiled at IFA in Berlin the new Moleskine application that will be available exclusively on Samsung Apps from October 2012. A demo of the application is available at Hall Samsung at IFA in Berlin.